NOTE! Manufacturer is changing the color of the filters to BLACK! 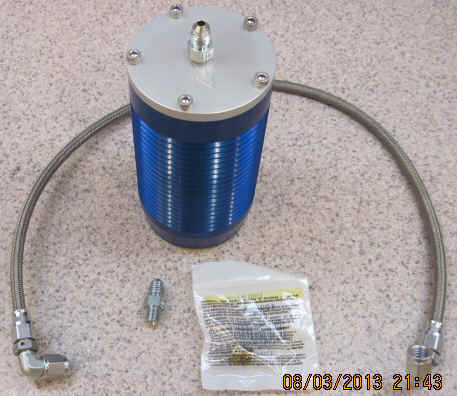 Here is another product we have come up with utilizing the billet oil filters we already have been selling. Known as the TURBO PROTECTOR, this works on the same principle as other systems out there with a few differences to the better. Designed for the 86-7 Turbo Regals and also a new kit for the 89 Pontiac Turbo Trans Am which takes a different filter than the Turbo Regals! 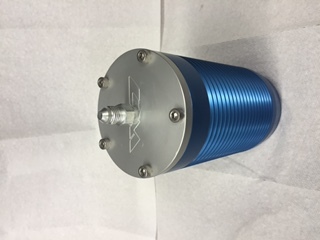 Filters 100% of the oil going to the turbo by tapping into the end of our billet oil filter. These filters do NOT have an internal bypass in them so you are assured of filtered oil going to your turbo ALL the time. No extra lines you have to plumb to the front of your car for more potential leaks. 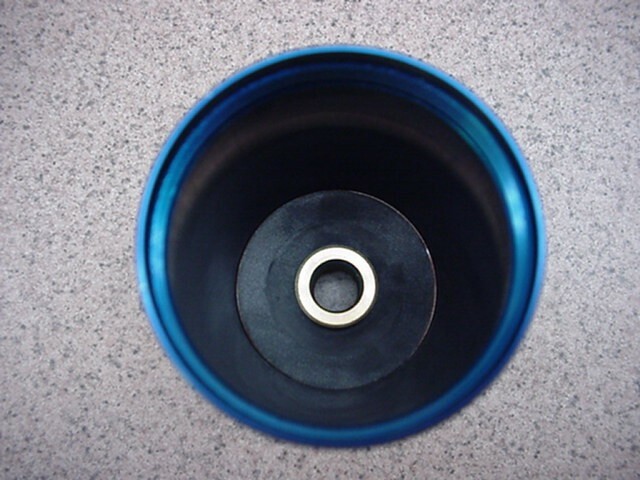 No drilling of holes to use the remote filter mounts uses in other systems. No EXTRA filter to use like other systems. The filters we sell have been around for more than two decades and are not the latest miracle oil filter you always see popping up on the market. 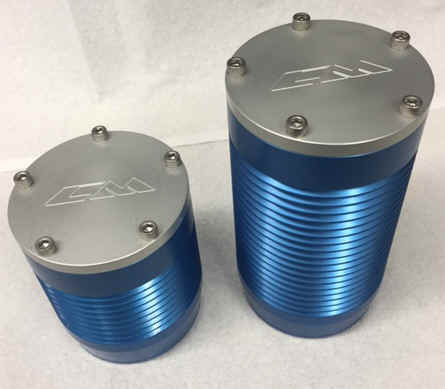 These have a proven track record and are made by Canton Racing Products right here in the USA. The filters use a depth filtering media and filter up to 8 microns without affecting flow. The new design features heat sink cooling ribs as well as a one piece main canister with removable end cap. IMPORTANT! Once removing the stock oil feed line, you will need to plug this port as you no longer will be pulling oil that has already run thru the motor. 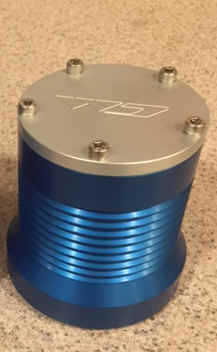 Canton Racing billet aluminum oil filter with pre-installed adapter for oil line. 2 feet of Earl's -4 Teflon steel braided hose. Plug for stock oil feed line..
Click here to see a quick demo of the oil pressure gauge I hooked up temporarily to the port off the oil filter to verify pressure to the turbo. ORDER THE SHORT FILTER KIT IF YOU ARE RUNNING A PRECISION STOCK LOCATION INTERCOOLER. THERE ARE CLEARANCE ISSUES WITH THE LONGER FILTER WITH THAT INTERCOOLER IF YOU ARE STILL RUNNING THE OIL COOLER. IF YOU HAVE ELIMINATED THE OIL COOLER ADAPTER THE LONG FILTER SHOULD WORK FINE.